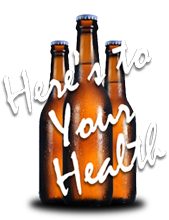 Throughout the month of April, the National Beer Wholesalers Association (NBWA) will be recognizing Alcohol Awareness Month, as highlighted by the U.S. Health and Human Services Substance Abuse and Mental Health Services Administration (SAMHSA), to raise awareness about alcohol abuse. "Alcohol is a unique product that is not for everyone," said NBWA President Craig Purser. "National Alcohol Awareness Month is an appropriate time to recognize that alcoholic beverages need to be effectively regulated to help combat abuse and to ensure they do not end up in the hands of those under the legal drinking age."